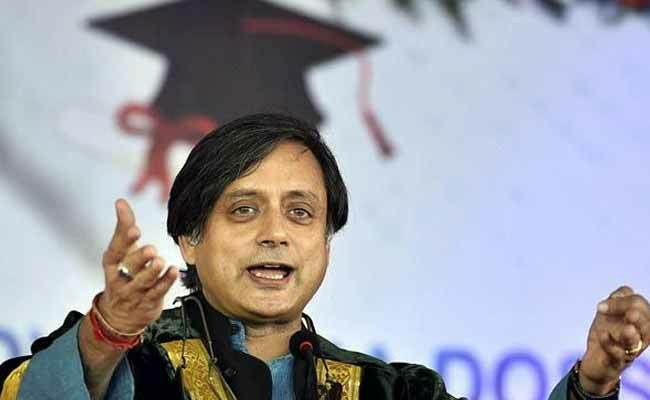 Shashi Tharoor has tweeted a new word to mean this: "The action or habit of estimating something as worthless"
Congress parliamentarian Shashi Tharoor's latest wordplay is longer than 'lalochezia' and may not be as catchy as 'webaqoof', but it's still something -- a 29-letter tongue-twister compressed into a single word. Mr Tharoor 'unveiled' the word to the public in a tweet that also introduced his new book, The Paradoxical Prime Minister, on whose cover Prime Minister Narendra Modi is seen examining closely a wax figure of himself with his hands folded at Madame Tussauds museum. The wordplay by the former diplomat on Twitter comes in clockwork frequency and is known to pitch English language enthusiasts against trolls. He deployed the latest word to briefly explain what his book is about -- "The action or habit of estimating something as worthless." "My new book, The Paradoxical Prime Minister, is more than just a 400-page exercise in floccinaucinihilipilification..." Mr Tharoor tweeted. 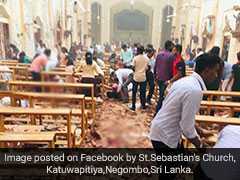 'Floccinaucinihilipilification' received a little over 2,800 'likes' as well as a long trail of comments that made fun of the tweet. "I am wondering what Shashi Tharoor's Siri is like. Does she ask Shashi the meanings of words instead of it being the other way round?" a Twitter user, Alok Badri, commented, referring to Apple's hands-free intelligent assistant that can perform tasks with verbal commands. "Will we get a dictionary free with the book?" another person commented. On his official website, Shashi Tharoor is described as a person who "was a pioneer in using social media as an instrument of political interaction." Till 2013, he was India's most-followed politician on Twitter, until being overtaken that year by Prime Minister Narendra Modi, his website says. The troll-pulling power of Mr Tharoor's updates like "floccinaucinihilipilification" now adds to the combined firepower of his past tweets that had these words -- lalochezia, farrago, rodomontade, webaqoof and snollygoster. Mr Tharoor is currently a second-term parliamentarian from Thiruvananthapuram constituency. He has also served as Under-Secretary General in the United Nations.